The record is made up of 1 volume (346 folios). It was created in 30 Jan 1916-4 Feb 1920. It was written in English. The original is part of the British Library: India Office The department of the British Government to which the Government of India reported between 1858 and 1947. The successor to the Court of Directors. Records and Private Papers. 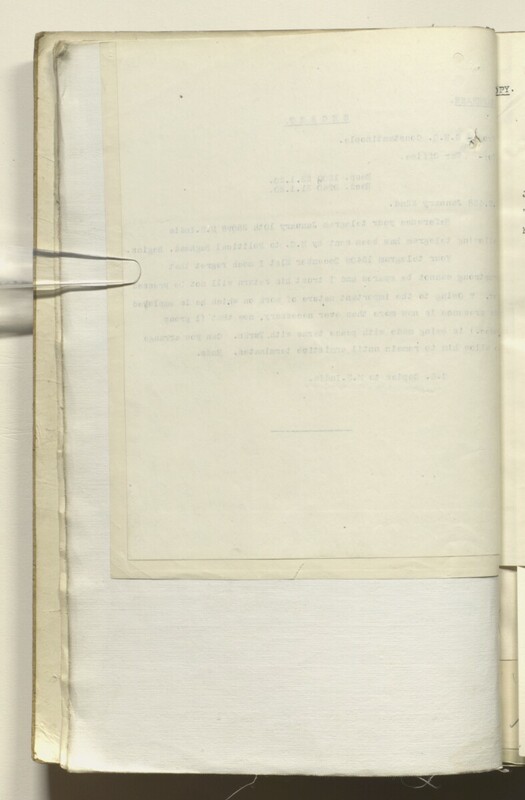 This volume contains requests for skilled personnel from British civil and military authorities in newly occupied territory in Iraq written between 1916 and 1920, to the Political Resident A senior ranking political representative (equivalent to a Consul General) from the diplomatic corps of the Government of India or one of its subordinate provincial governments, in charge of a Political Residency. in the Persian Gulf Historically used by the British to refer to the sea area between the Arabian Peninsula and Iran. Often referred to as The Gulf or the Arabian Gulf. , and the Government of India. The papers primarily consist of letters from Basra or Baghdad requesting the secondment or requisition of staff to Iraq from India. The letters discuss the various roles required as well as their pay and tenure. The roles range from police superintendents to postal clerks, police officers, medical staff and a range of other military personnel. The subject 4097 (Basra and Mesopotamia) consists of 5 files, IOR/L/PS/10/513-517. The files are divided into 7 parts, with parts 1, 2, 3 comprising one file each, parts 4, 5 comprising the fourth file and parts 6, 7 comprising the fifth file. Foliation: the foliation sequence (used for referencing) commences at the inside front cover with 1, and terminates at the inside back cover with 348; these numbers are written in pencil, are circled, and are located in the top right corner of the recto The front of a sheet of paper or leaf, often abbreviated to 'r'. side of each folio. A previous foliation sequence, which is also circled, has been superseded and therefore crossed out.